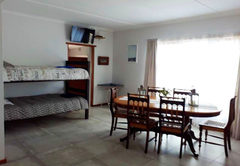 Old Cape Last Trading Post is a property providing self catering in Struisbaai for tourists visiting the Cape Agulhas region. 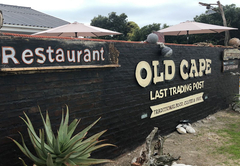 Old Cape Last Trading Post offers accommodation with a restaurant and bar. 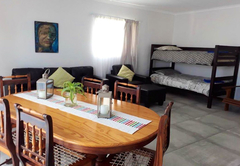 The establishment is inspired by its unique location at the Southern tip of Africa and has secure parking, Wi-Fi, a braai area and laundry facilities. 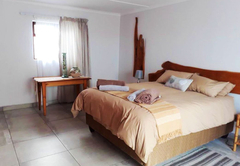 There are three self catering units, all of which can accommodate up to four guests. They have private bathrooms and two have catering facilities. The unit has one bedroom and one bathroom. 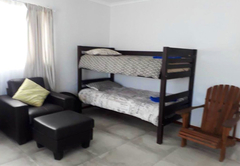 Bunk beds are provided in the comfortably furnished living area. 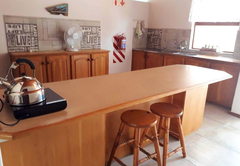 There is a well equipped kitchen and braai facilities are provided in the braai area. 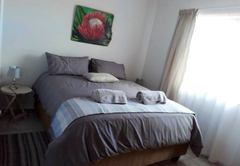 The unit has two bedrooms, one is furnished with a Queen-size bed and the other has a bunk bed and a Queen-size bed. There is an en-suite bathroom with a shower. The unit has one bedroom furnished with a Queen-size bed and bunk beds are provided in the living area. The bathroom has a shower. 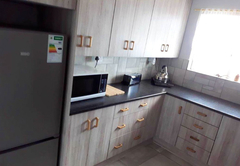 The kitchen is well equipped and open plan to the living area. 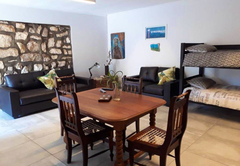 The establishment is walking distance from the beach and the picturesque harbour. The lighthouse built in 1848, is the second oldest in the country and has stood over 150 years as a maritime chaperone to the “Cape of Storms”. There is wonderful birding opportunities in the area. Unit 1 has 1 bedroom and 1 bathroom, as well as 2 bunk beds in the living area. 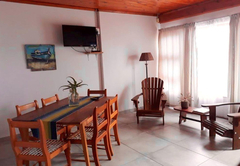 Well equipped kitchen, lounge, open-plan comfortable couches, TV and free Wi-Fi. 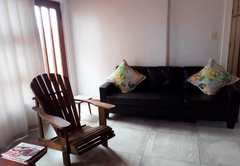 Private patio, barbecue area, entertainment area and safe parking. 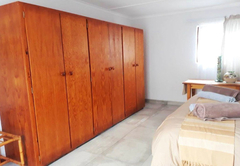 The unit comprises 2 bedrooms and an en-suite bathroom with a shower. The first bedroom contains a queen-size bed. The second bedroom contains a queen-size bed and bunk bed. 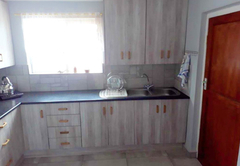 The unit comprises 1 bedroom and 1 bathroom. 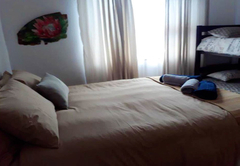 The bedroom is separate from the unit and contains a queen-size bed. The living area contains 2 bunk beds. The bathroom is fitted with a shower, basin, and toilet. The living area is open-plan and the kitchen. Response timeOld Cape Last Trading Post typically responds to requests in 5-10 minutes.